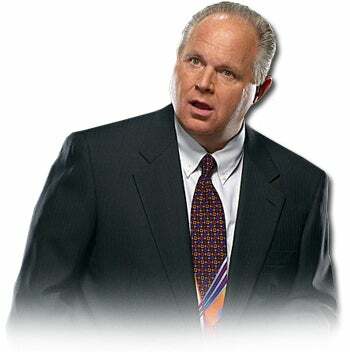 RUSH: Would it offend you, ladies and gentlemen, because the president’s first real State of the Union speech is tomorrow night, and I have an idea for what it ought to be. Trump can accomplish everything he wants to accomplish in 15 to 20 seconds and then leave. But would it offend you if I said that what Trump has to do tomorrow night is to show that he doesn’t have horns coming out of his head? He has to show and demonstrate that he’s not an ogre. He has to demonstrate he’s not a barbarian. He has to demonstrate that he’s not somebody who disrespects women, that he’s not an idiot and not a moron? Would it offend you if I said that’s what Trump’s primary objective tomorrow night is? (interruption) Only a little bit. It would offend you only a little. Well, somebody did actually say this. A Republican actually said that on TV. I’m paraphrasing it, but a Republican actually said that on TV about 10:30 this morning, like an hour and 45 minutes ago, said it on Fox News. I’m watching this and I’m saying, “They’ve learned nothing. The inside-the-Beltway crowd has learned nothing.” They still think they’re on the defense, and they still think they have to prove and demonstrate they’re not what the left accuses them of being. And that Trump’s primary objective has to be to show that he’s not the moron, the idiot, the ogre, and the guy who tweets in bed. Do you realize that’s a major controversy story today? Trump admitted he sometimes tweets in bed. Reuters can’t believe it and it’s another major controversy. “What, he tweets in bed? For crying out loud.” So what? Are you telling me that none of you leftists tweet in bed? How many of you leftists tweet in the bathroom? Which is worse, tweeting from the bathroom or tweeting in bed? 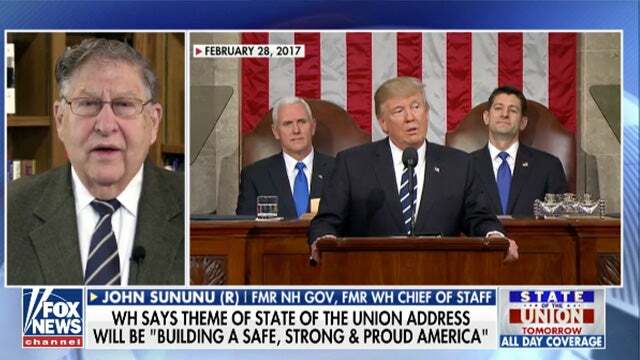 SUNUNU: The president and the White House, I think, understand that this is the speech that will have the largest number of folks in the audience that are not part of his base. So it’s a chance for him to show that he doesn’t carry a pitchfork, doesn’t have horns or — or a long red tail. Well, I do that every day for three hours. I do it every day on this program! It doesn’t change what anybody thinks. In fact, there was once a sportswriter for the New York Post who did a story on me that in his own terminology, he said, “You know what? I’m gonna humanize you,” which means the same thing. Although he wasn’t being… This was not insulting to me. He got it. “I’m gonna humanize you. I’m gonna show you something. They’re gonna get mad at me for doing it,” and it’s exactly what happened. People got mad at this guy! He was getting hate mail for making me look human, for making me appear unlike their caricature. The left’s caricature of conservative enemies cannot be changed, and my point is it is a mistake to have that as the objective. Imagine, folks… As a way to illustrate, imagine if every day for the last 25 years on this program my objective every day was to prove to liberal listeners I’m not who they think I am. Can you imagine what this show would be? You wouldn’t still be here, No. 1. You would have tuned out long ago, and you would have gotten mad at me for being on the defensive and thinking that that was important. And it’s the same trap for Trump. And I have no doubt there are people around him suggesting he do the same thing. “Show them you’re not the ogre that they think they are. Show them that you’re presidential. Show them!” He doesn’t have to show anybody he’s presidential. He is the president. FEMALE STUDENT #1: I didn’t watch it because I couldn’t bring myself to watch it. FEMALE STUDENT #2: Quite racist, at the very least if not up there with most racist. FEMALE STUDENT #3: (dramatic sigh) I… It’s something that I wouldn’t have expected to happen in, like, our lifetime. FEMALE STUDENT #4: It is offensive, it — it is crazy, but I’m not shocked by it. FEMALE STUDENT #5: It’s the behavior of someone who refuses to accept accountability for their failures. MALE STUDENT #1: The way he acts, you shouldn’t be acting like that if you’re the leader of the country, regardless of what party you’re in. So that — that frustrates me a lot. FEMALE STUDENT #6: I mean, it doesn’t surprise me that that was the State of the Union address. FEMALE STUDENT #7: Hopefully everything that he’s outlined can be overturned by the public opinion. PHILLIPS: One of the craziest moments when he started a “build the wall” chant with all the Republicans that were there. PHILLIPS: People on social media were accusing him of basically using the State of the Union as a campaign event. MALE STUDENT #1: Yeah, that’s kind of ridiculous. MALE STUDENT #2: I think it’s absolutely crazy. FEMALE STUDENT #8: The fact that, um, he started a chant? He’s big on those. FEMALE STUDENT #6: I think it reveals that he has the temperament of a three-year-old. RUSH: Okay. So the Campus Reform guy told these kids that Trump started a chant for “build the wall” during the State of the Union speech, and they believed him, and then they commented on it. “The craziest moment was when he started a build a wall chant with all the Republicans that were there. People on social media were accusing him of basically using the State of the Union as a campaign event?” That was the Campus Reform guy telling these students what had not happened. No, you couldn’t get away with this as Hillsdale College. That’s right. I guarantee you at Hillsdale, you couldn’t find one student at Hillsdale who would be faked out into thinking the State of the Union speech had happened the day before it was to be given. That’s a good point. My only point is to demonstrate that he doesn’t have horns or a long red tail or he’s not an ogre or moron, bigot, racist, whatever, it’s a fool’s errand, because the charge is baseless in the first place. You know, why give credence to a baseless charge? Why, once again, accept a totally fraudulent premise and then try to change it when it’s all fake to begin with? This is why I say, these people are not to be negotiated with. We’re not to meet them halfway across the aisle. These people are to be defeated. These people have to be defeated, continually defeated and rendered permanently in the minority. That’s the only of dealing with these people. We can’t cooperate, we can’t negotiate, ’cause there’s nothing in common. The country has become too polarized and Balkanized for that. At this point in time, there’s no compromise. 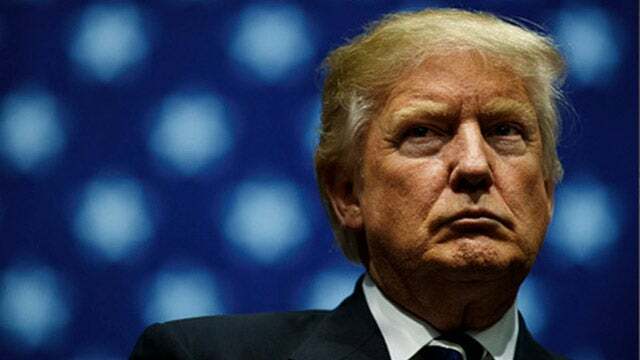 RUSH: If Trump did a perfect speech tomorrow night, if Trump was the dictionary definition of presidential, it would make them want to impeach him even more. It’s not gonna calm anybody down! Quite the opposite. This is what people don’t understand to this day about the left. You can’t compromise with them. That’s not what they’re about! Trump’s gotta go. That’s it. There is no halfway measure. There is no talking ’em out of it, walking them backwards on it. Trump’s gotta go. That’s an intractable position they have, and they’re not coming off of it in any way, and so there’s nothing to negotiate with these people on. It has to remain the policy to fully defeat these people and to keep defeating them so that they end up in a permanent minority. I don’t care what the issue is. There’s no compromise with them. They’re not rational people, and now they’re so rabid with hate, it’s incredible. 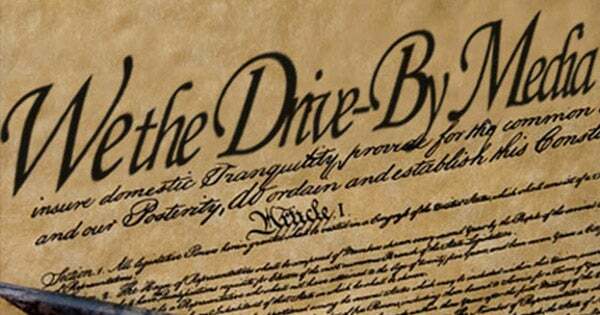 The Democrat Party, the American left are the No. 1 hate group in America today. The idea that Trump could somehow placate ’em? Pfft! Trump is… George W. Bush? They hated George W. Bush because he got elected because of Florida recount aftermath and all that, and it didn’t ever change no matter what Bush did. Bush gave ’em a new entitlement! Medicare Part B. No Child Left Behind. He compromised with Teddy Kennedy, all kinds of things. Like Richard Nixon. It didn’t buy any love. Never has, never will. But conservatives, Republicans in the swamp continue to be hopeful that they can someday make peace with the media and the left. Campus Reform: Students Hate Trump’s SOTU…Before it Even Happens!